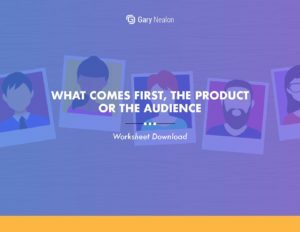 Which comes first, the product or the audience? When it comes to launching a new product, the common mantra among business owners seems to be, “If you build it they will come.” After all, most businesses were launched because the founder had a product in mind, and was looking to market it to the world. But in today’s age of social media and content marketing, where it’s easier than ever to grow a dedicated audience –relatively quickly, the traditional model for launching a product has, in many ways, been turned on its head. Today, it’s becoming increasingly common for startup founders and bloggers to set to work building an audience first, and then and only then launching a product that’s designed for that audience. If you’re looking for a quick answer to the question, “Product or audience?” the short answer is either one could work! Both offer a number of advantages and risks as well. The best option for you will depend on a number of factors including the type of company in question, how much time you have before launch, how much capital you’re able to invest, and of course, your own individual preferences and skills. Cofounder and CEO of Fizzle, Corbett Barr has outlined the risks involved with both options in his helpful blog article: Which Comes First: Audience or Product? While the traditional business model goes this way –identify a need, build a product, and then find an audience, there are a few things that could go wrong when using this method. First, there’s a chance that you’ll end up building a product that just isn’t as popular as you were hoping, or something that no one wants. Make no mistake, building an audience at this stage of the game is a lot more difficult than it looks, and usually involves a great deal of time and money, whether you build an audience through advertising or marketing. Of course, building an audience first also carries its own risks. First, it can take time to build up a sizable audience, and time is something that many entrepreneurs simply don’t have. Secondly, and perhaps most frustratingly, there’s a very real risk of getting caught up in audience-building, and never effectively transitioning into product-launching. 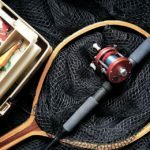 So there are risks to both methods, but the truth is that in order to successfully launch a product, you’re going to need both an audience and a product. The more you know about your target audience, and the more you know about their needs, the better equipped you will be to meet them. And, of course, having a good idea about what type of products to sell this audience is also extremely important. For this reason, some startups prefer to take a two-pronged approach in response to the product-audience dilemma, and look to take steps to both grow their audience and create or source products that they’re interested in at the same time. Still, there’s a lot that we can say about building your audience first. The truth is that this method is one that’s quickly growing in popularity with entrepreneurs today. Rallying your fan base first will give you a captive group of people who are interested in what you have to say, and when you launch a product down the road, they’ll be a lot more prone to buy. Having first-hand knowledge of your audience will also allow you to create a product that will suit their needs. 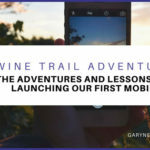 Take, for instance, the case of one of my companies –Wine Trail Adventures, a classic example of the audience-first method in action. When we were building the app a few years ago, I decided to start building an audience first, ahead of launch. We got to work creating a Facebook page around wine and ended up growing an audience of 250,000 followers –before we even launched the app. While we were running the Facebook page, we were showing gadgets and wine-related products. Incidentally, one item –a wine sippy cup, ended up getting a lot of engagement. Because of this, we started buying them and selling them to our audience –and at one point were selling as many as 300 of those things a day! The revenue we were able to generate from the ancillary products was enough to pay for most of the app development, all because we put some time into growing and cultivating an audience first. Building an audience also allows you to get feedback on the design or service before you launch it. In the case of another company, RTA Cabinet Store, having an existing audience proved to be invaluable then as well. Once we had a sizable audience we were able to poll our followers about potential cabinet lines that we were thinking about creating. This allowed us to leverage the audience to select our next big seller. Of course, there are some business models that will still benefit from the product-first approach. 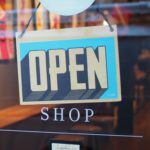 For example, locally-based businesses may find it easier to launch a product first, and wait for the orders to roll in. No matter which option you choose though, it’s important to get one thing straight: the importance of finding and understanding your target audience. This is vital no matter which approach you end up taking. With the product-first approach, you’ll need a clear idea about your target market. And with the audience-first method, you’ll still need to know which group of readers to target, so that you’ll be able to successfully grow your following. Get our What Comes First Worksheet delivered right to your inbox. Before you attempt to start growing your audience, it’s important to take the time to do some research to find out exactly who your audience is, what they’re interested in, and where you can find them. 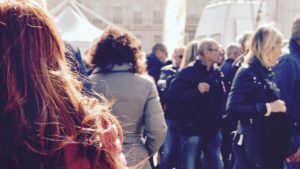 By Consumer: Are you marketing to businesses or consumers? You can further segment your market by size; small, medium, or global companies. By Geography: If you’re marketing a product that’s location-specific, or planning to market primarily in a certain region, then you’ll want to segment your demographic into regions as well. By Distribution Channel: If you’re planning to sell via Amazon, your website, or another online portal, consider segmenting your audience up according to channel. By Marketing Technique: If you’re planning to market using a variety of techniques such as website, direct mail, web advertising, and more, you may want to further segment your market based on your marketing and advertising channels. By Demographic: Demographic segmentation is another popular way to segment your market. 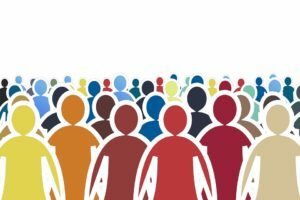 Generally, demographic segmentation involves taking into consideration factors such as age, gender, and income, but you can use other variables as they seem relevant. By Behavior: Behavioral segmentation involves segmenting your market by behavior. Or, more specifically, their response to a particular product. Not everyone will fit into the same behavioral pattern, and behavioral segmenting will help you to tailor your marketing strategy to reach a specific group. 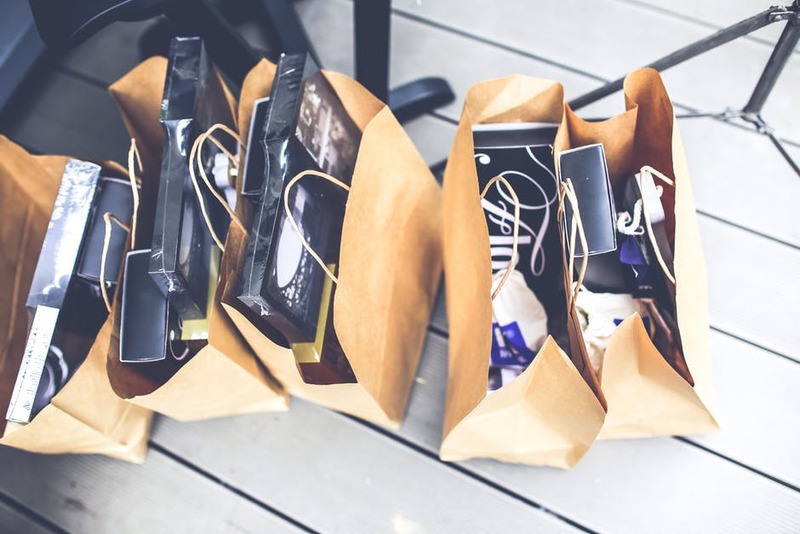 Psychographic Segmentation: Much like behavioral segmentation, psychographic segmentation takes into account the psychological reasons of why people buy. This segmentation is concerned with lifestyles, activities, interests, and so on –and can be used to help you source, create, or market products that appeal to a specific lifestyle or ideal. Ok, if you’ve decided to grow your audience, and you should be, at least on some level, then here’s a look at how you can do so. Most of it will come down to content creation. Guest post for popular blogs –Looking to guest post on blogs will help to drive traffic back to your own blog. Try to think what you can offer the other blog’s audience, and reach out. 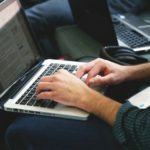 Share engaging and relevant content on your own blog –Of course, you’ll need to have a good content sharing strategy for your own blog as well. Look to share helpful and relevant content, and always include a strong CTA. Share helpful tutorials on YouTube –Look to create relevant tutorials that address a common problem that your audience is facing. Create presentations on SlideShare –LinkedIn’s SlideShare is a great place to share helpful business-related articles and advice. Share on Medium –Medium is a good channel for sharing helpful content. Answer questions on places like Quora and Reddit –Answer questions, share the knowledge, and grow your audience. Create relevant groups on Facebook and share content occasionally from your blog –Another good way to grow an audience, without being overtly salesy. Try starting groups that are related to the products that you’re selling, such as a “design tips” page, if you sell products for designers. Then share occasional posts from your blog. Drive traffic back to your blog or website, with the goal of collecting email addresses –When growing your audience, your goal should be to compile a list of email addresses. Social media accounts and platforms come and go but email addresses are a lot more valuable and versatile too. Your goal is to grow your audience over the course of a specific amount of time, usually about 6-12 months before launch, offering them value and keeping them coming back for more. What do you write about? Things that your target audience is interested in. Put yourself in their shoes, try to think about your audience, and ask yourself what type of content they want to see. If you’re creating software for website designers, for instance, you could launch tutorials on tips for finding the best stock photos, fonts, and icons online. If you’re looking to sell bicycle parts to cycling enthusiasts, look to create how-to tutorials, showing how to do bicycle maintenance or replace the parts that you’re selling. Team up with other cycling blogs, submit guest posts, and work to grow your email list. As always, your goal should be to create high-quality, evergreen content –the kind that’ll continue to draw in new, relevant visitors to your website or blog. As the launch date moves closer, you’ll then be able to reach out to your audience and inform them of the launch, share introductory offers, give them free previews, and more. 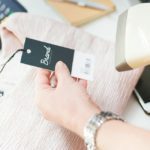 After the launch itself, you can continue to offer special pricing, discount coupons, and free resources if they mention your product on social media –to help drum up more interest. The good thing about building up an audience ahead of time is that you won’t have to work as hard to sell them on your product. Since you’ll have already built up a rapport with them, they’ll be far more open to buying from you. Once you’ve done the prep work, you’ll be able to promote your produce through your website, blog, and social media platforms, and of course, send out an email sales pitch informing them that you’ve launched your product. 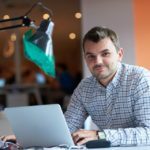 In addition to the launch email, Neil Patel recommends doing webinars to sell expensive products, saying that he’s had tremendous success with webinars on NeilPatel.com as well as at Kissmetrics in the past. “The basic idea is to teach people something about a topic that’s related to your product,” Patel says. “At the end, you do a quick, no pressure pitch of your product with some sort of an offer.” With a good webinar, you can get conversion rates of around 20%, Patel says. Which is excellent. So audience first, product first, or some combination of the two? When it comes to choosing the right approach for your business, it’s important to choose the method that will work best for your budget, timeline, and needs. But no matter which option you choose to take, it’s always a good idea to take the time to identify your target audience right from the start. Doing so will allow you to ensure that you’re cultivating the right audience in the first place, and will help you to choose products that are a great fit for their needs. Startups? Which approach are you taking? Product or audience first? Did you find this post helpful? Download your FREE bonus content sheet, for a summary of the talking points. Also included are two bonus ideas for growing your audience.